July 7: Slow News Day Is Good News, Right? The Lower East Rift Zone continues as usual, more or less. 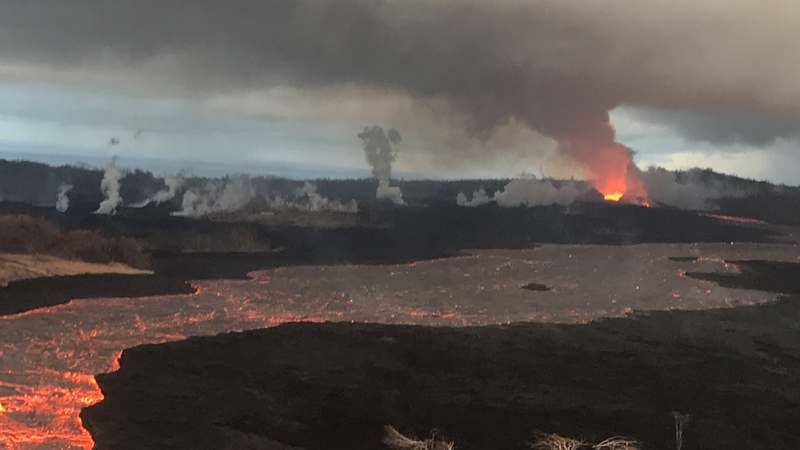 Fissure 8’s fountains remain tucked down in their 180′ cone, sending a river towards Kapoho. 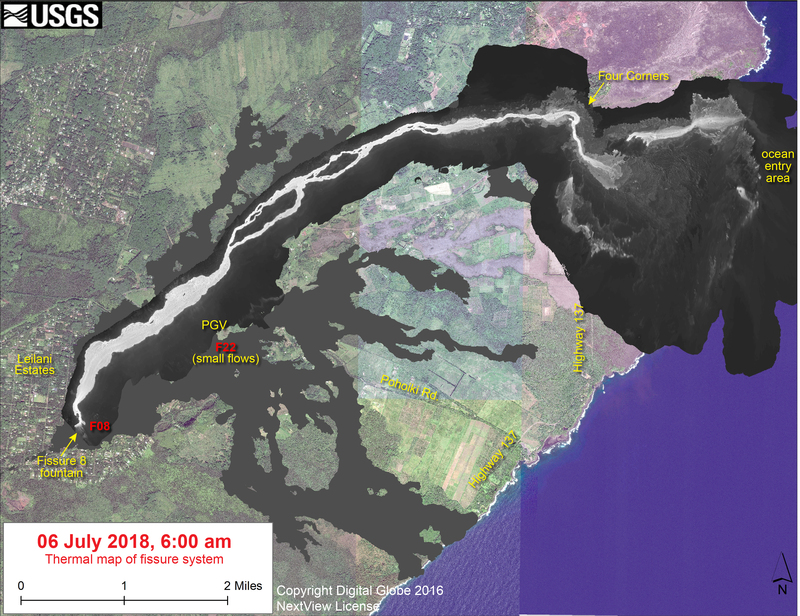 However, yesterday’s thermal map shows “the channel flow seems to stall about 2km (1.2 mi) inland of the coast.” Instead of entering the ocean from the channel, it’s oozing out here and there along a wide span of the delta, mostly on the north side. Also, lava is oozing out on both sides of the main a’a field, to the north (still menacing the narrow remnants of Kapoho Beach Lots, and it looks like it’s made a bit of a surface flow there) and southwest. Fissure 22 is weakly spattering. And as of 9pm HST, we’re still waiting for today’s collapse event at the summit. Continue reading July 7: Slow News Day Is Good News, Right?